The concept of this floor is taken from the word "Ku Barn" which comes from the motto of Phetchaburi. The style of this floor is to convey the styles of Phetchaburi city. 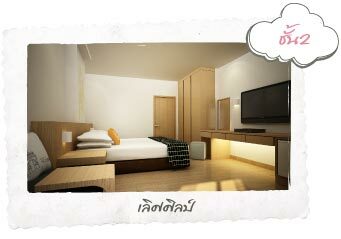 For those of you who are in love with the art and culture of Phetchaburi, this is the room for you. The atmosphere of the rooms on this floor has been carefully designed to make you feel the beauty of Phetchaburi art and culture. 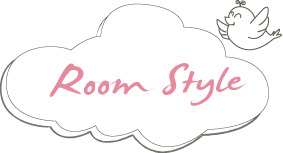 Dream D offers you with many room styles; studio, deluxe view, and suite. Rooms are stylish with featuring private balconies and the concept design of each floor is taken from the motto of Petchaburi city "Khao Wang ku Barn Kanom Warn Muang Pra Lerd Lum Sin Lar Par Dan Tumma Tarleir Ngam"
Our dream rooms on the highest floor are decorated in a contemporary style with the theme of Khao Wang, which is one of the most important places in Phetchaburi city. You can see the beauty of Khao Wang. On this floor, we welcome you all into a very sweet dream with emphasis on the word "sweet". The décor represent a cute atmosphere that ties in to the story of the famous Phetchaburi desserts. These desserts will serve to sweeten your thoughts during the night, providing a truly "sweet dream". Wake up feeling happy and refreshed from your sweet dream on this floor. The theme is taken from the surrounding temples and holy places that are famous in Phetchaburi. "Our goal is simply for you to have a sweet, sweet dream at Dream D". You can choose the style that you fancy most. © Copyright Dream D Company Limited. All Rights Reserved.